The Large Jute dog cushion by 2.8 is an ideal accessory for your four-legged friends, able to combine on-trend colours with a soft touch. Young brand 2.8 fuses the ideas of designer Anna and art buyer Margherita. Conceived out of love for design, simple shapes and passion for dogs, 2.8 is able to create the perfect mix of minimal, elegant and highly performing elements. Every piece has in mind the needs and desires of dogs. Additionally, every piece is able to fit into any sort of layout while managing to balance a classic flair with modern hues. 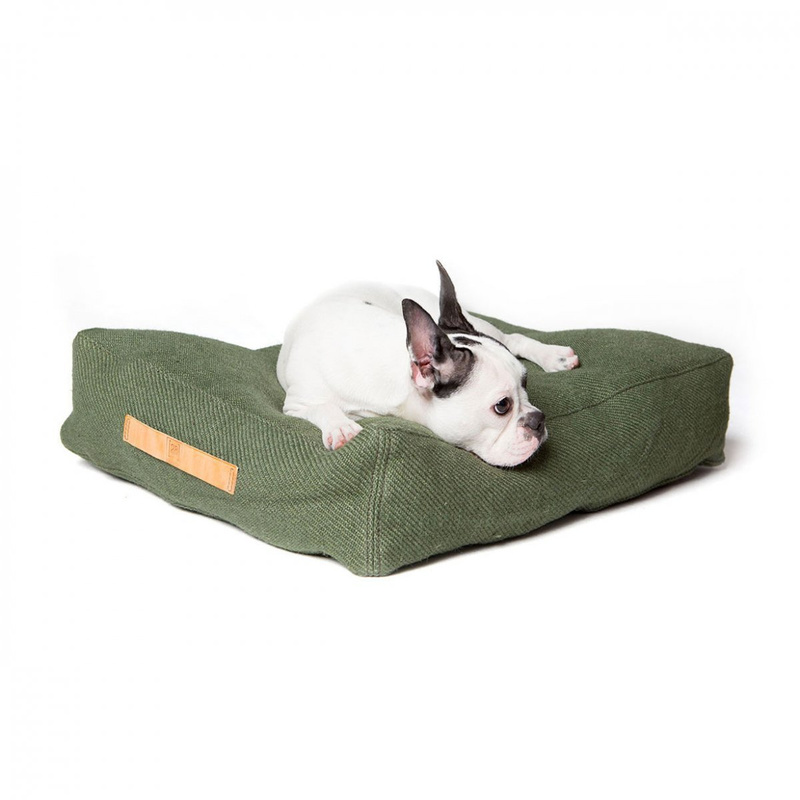 The Large Jute dog cushion is made completely by hand, always keeping in mind the brand's philosophy. Eco-sustainability, craftsmanship and practicality are among some of the values and characteristics that help every single one of the brand's products stand out. 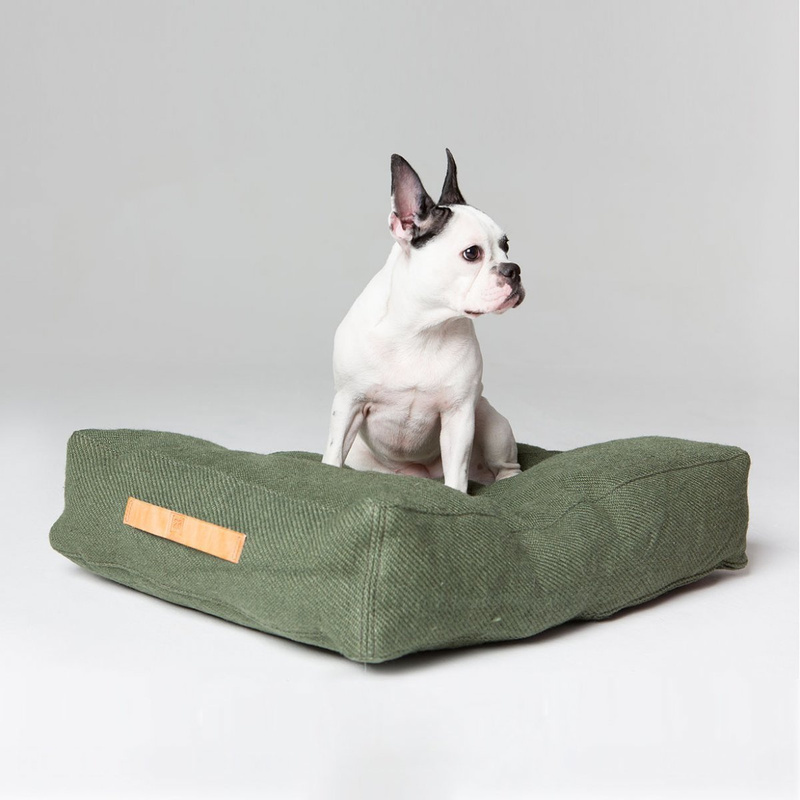 Developed and created in Italy, in Tuscany to be specific, conceived by young entrepreneurs and artists set out to give the utmost comfort to their dogs. The Large Jute dog cushion is available in three different colours, as sage green and blue are sure to fit into and add a fresh sense to any layout. It's worth mentioning that the material used for the product is anti-parasitic and made of jute, a 100% natural and breathable fibre. The soft cushion is perfect for the summer season, can be ironed up to 110° and features a removable lining that can be machine washed at 30° to guarantee cleanliness. 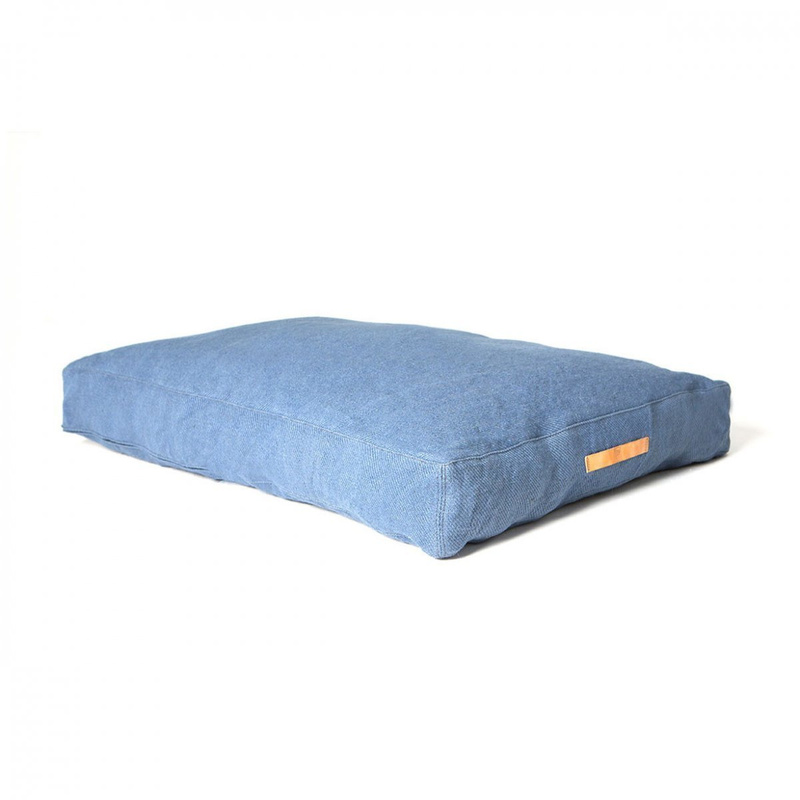 The dimensions of the cushion are 60 x 80 cm, perfect for medium and large dogs. Finished in an excellent way, it features an anti-slip bottom and is equipped with practical leather handles to make for easy transport.